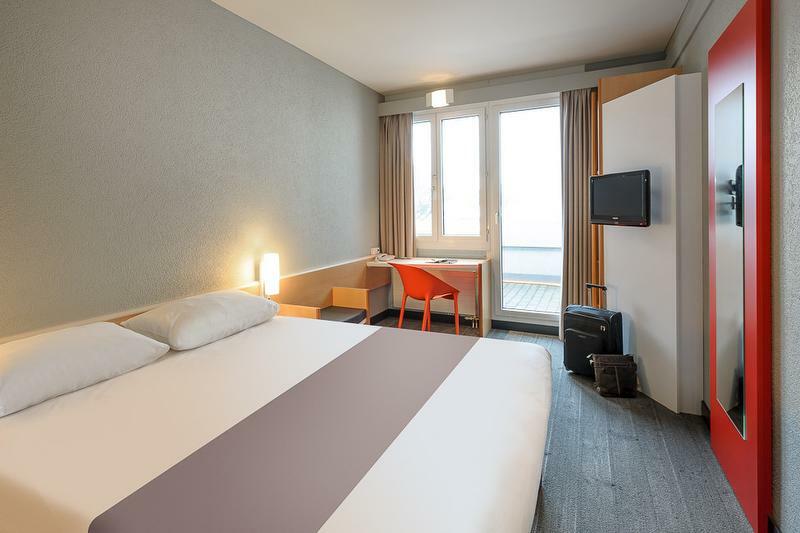 Practical and comfortable, and ideal for working or relaxing, this ibis room has everything you need: queen-size bed, duvet, desk, Internet, TV with all the best channels and a bathroom with shower. Freeway A13, exit 17 Chur Süd (south), toward Chur Zentrum (center), turn left at the traffic lights, after 330 yards, pyramid on the right hand side. "Check-in clerk was the best, personable" "Great view of the mountains"
"The staff were lovely. The room was basic but comfortable. The hotel was handy to transport. The vuews were gorgeous." "Another great and relaxing stay at my second home, the service is superb, nothing is a problem, that's why I stay here five or six times a year." "Common spaces great, much better than expected. Room needs to be updated and needs to be cleaner. I booked last minute so it might be the service did not have time to refresh it, but it should be better maintained. Carpet felt dirty, had to sleep on a towel on the bedding." "Staff at reception were friendly and helpful, room was clean, warm and comfortable." "Perfect experience for our group." "Really clean and tidy. Staff were very friendly and really enjoyed the breakfast. Internet in the room was a bit slow so we worked in reception as we had some work to do. A criticism would be that the bath towels were very small and thin - obviously worn out. other than that - excellent"
"Great hotel, super friendly service, excellent breakfast." "Made to feel extremely welcome, and the reception staff assisted with information with getting around the Old Town within one night, by advising with local transportation etc." "Dear Mrs. Gabris: We enjoyed our stay. Efficient receptionist/check-in, the hot coffee was appreciated." "Hot water in bathroom was no working! And the receptionist did not even ask at the check-out if everything was fine." "Needed a room for a quick stopover and that’s what we got. Room was small and bathroom very small but was comfortable enough"
"Always a good good room with very good service along our travel." 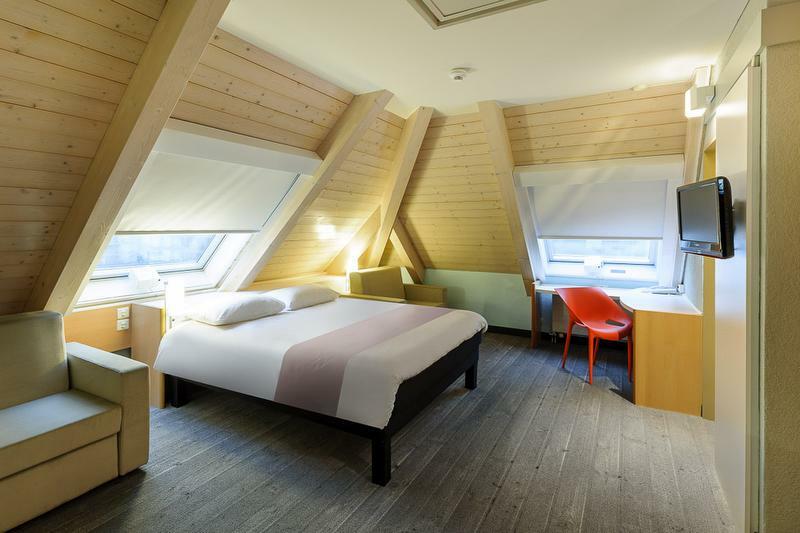 "Rooms are small but very clean. Great place for an inexpensive stay." "Another great stay at the hotel, service and staff there usual excellent standard"
"Very nice, good hotel to stay with dogs." "The receptionist was very friendly and professional." "Simply the best value hotel in the area, from the outstanding hotel team where absolutely nothing is a problem, superb breakfast offering, super comfy beds, all in all, I love the place, the city, the people, which is why I return 5 or 6 times every year to this hotel." "A convenient overnight stay, rooms only suited for single occupancy"
"It was perfect for our family. We stayed one night with the two kids." "good overnight stay. 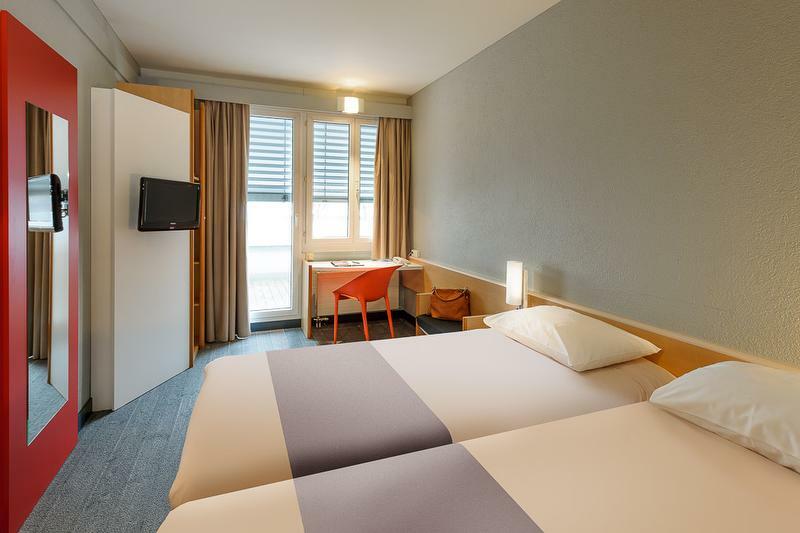 clean rooms, friendly staff, good value"
"Hotel was conveniently located in Chur, breakfast was OK, staff were friendly and helpful. The only downside was the lack of air conditioning as the temperature reached over 26 degrees on several days while I stayed there." "Room was very small for two people but was quiet. The room was very hot but we could not open the windows as we got the trafffic noise from the mainroad. The bus stops right outside the hotel if you want to go into the town and costs three francs. There are also a couple of fast food places nearby and some great restaurants in the main town of Chur about 15 minutes walk away." 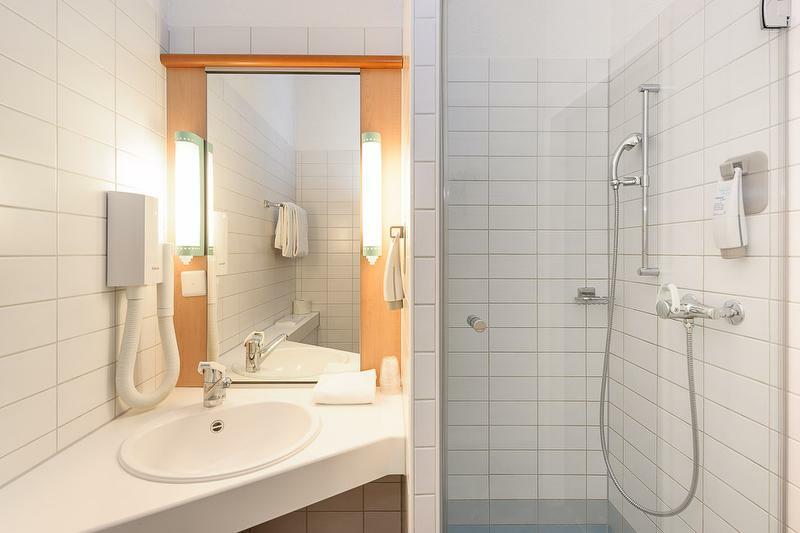 "Room was smelling of mould - asked for a change of rooms - hotel was fully booked - no rooms big enough for a family - hotel knew about the problem - 15% discount - rooms are very outdated not inline with IBIS in general - mouldy shower - no extractor fan in a windowless bathroom." "I don't understand why you don't have privacy screens between rooms. As it was warm weather we couldn't leave the door fully open." "Friendly staff, clean and tidy. Value for money"
"Friendly staff, parking, clean rooms. The hotel itself is rather "sterile and cold" in my opinion. But it provides excellent service after long journey for taking rest before another part of the trip. I rather doubt what to do there, if we stay longer." "Your reception staff was great. Very helpful and kind. Props to him. The room was good enough. Good beds and baby cot, furniture. Only downside was the price, after seeing and staying, it seemed a little high for the hotel. For the same price, we stayed at Novotel in Basel with breakfast included. Breakfast price was high for what you offered. Like I said, Novotel was cheaper and with more variety with food and drinks." "We stayed for 2 nights in April and 4 nights in August. We have always found the rooms clean and comfortable. The staff are really helpful and friendly which makes staying there a good experience. The hotel is away from the town so it is quiet and having secure parking is definitely a bonus. A 24 bar service and pizza is a really good touch, it would be good if there were a few more food choices (especially when you are staying a few days)." "Room needs airconditioning as with open windows experienced noise and cigarette smoke from along balcony. Entrance for pedestrians dangerous between MacDonalds drive thru and garage forecourt. Shared balcony insecure if windows open." "We stayed in quadrupple room which is located on 4th floor. The bed is comfortable and the receptionists during our stay were so helpfull. It is located nearby bus stop, restaurant and grocery store. The cons is that the lift is only until 3rd floor. It means we had to carry our big luggage using stair from 3rd floor to 4th floor." "I enjoyed, the secure cycle storage, the bottle of water upon arrival (kind manager saw I was hot), the balcony, the hot shower, the early access to the room and the ability to plant a tree. Breakfast was good too." "We stayed here to use as a base to travel to the local area. Very convienent. Breakfast was great. staff were extremely helpful. Room was too hot, we were given a fan but air conditioning needed turning down." "Overall a very pleasant hotel, the staff is very kind, helpful and the room was very clean. The one thing that wasn't so pleasant was experiencing the warm weather inside the room because of lack of air conditioning but the staff made sure we had a fan after asking for one." "It was not too far from the Central station. The staff was friendlyand helped us with the check in for the plain"
"Without air conditioning it was very very hot. The provided fan helped some, but still was very hot. The lady on staff was exceptionally friendly." "Nice and clean room, but very hot due to the luck of air conditioning. Room a bit in a small side -we have it a double bed and a single bed as we were three of us." 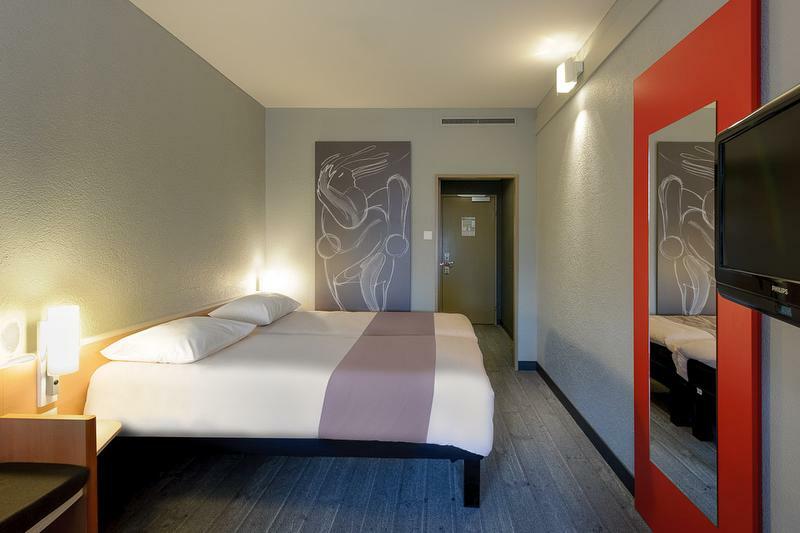 "The staff at the Ibis Chur were just great. They ran around in circles to do their best for guests. 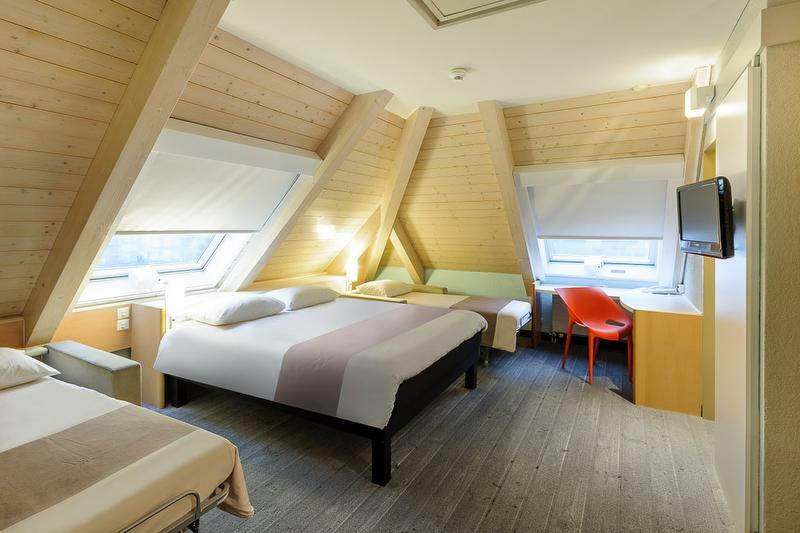 The hotel itself offers small rooms with the absolute minimum. For example, there are towels but no hand towels. There is no air conditioning. It was 34 degrees. We were kindly offered a fan. That meant staying awake with the noise of the fan or with the heat." "Hotel was neat and clean. Room requires a fan / AC to be installed. It was quite stuffy inside. Also, the knob of our washroom door was dysfunctional, which was just not expected." "It was at very nice stay at the hotel"
"The room very small and it was so hot no AC.. the balcony was sharing with other rooms we didn't feel comfortable." 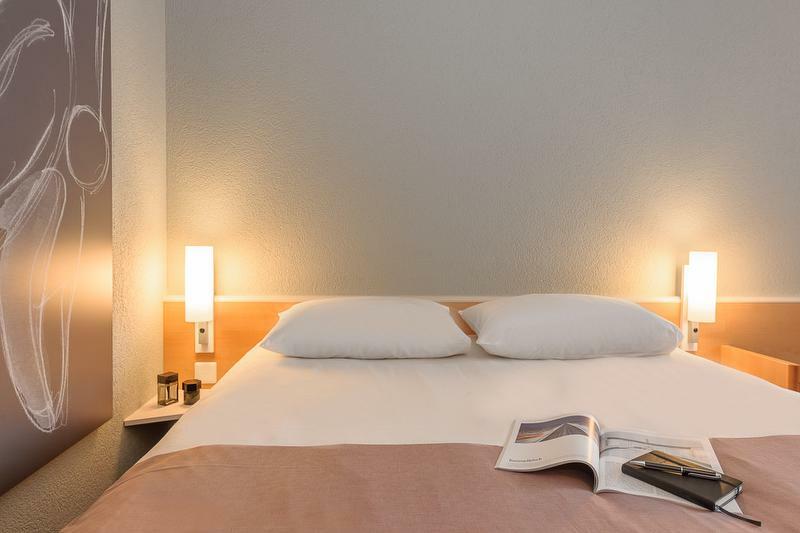 "Friendly fast check in and check out - perfect location for travelers - easy parking - good breakfast"
"The hotel appears worndown, the common facilities are practically non-existing"
"very nice and helpful staff. The checkin was quick. Room simply but ok and clean. Spacious bathroom. I didn't like location- quite noisy due to nearby traffic." "The perceived expectation was that it was on an industrial estate; this was not the case. Easy to find. Regular bus service to the station. Macdonalds on site was a bonus; there was no noise from their clientele. Accommodation was very good and could not be faulted. The breakfast was basic but there was enough choice. The standard and service was what we have come to expect from an Ibis hotel. The rates were competitive and the ability to pay in sterling rather than swiss francs was appreciated with a very good exchange rate." "We stayed at the IBIS in Chur for 2 nights in May, for a base on the Bernina express route. We arrived by train and the hotel was a 10 min bus ride from the station. As an IBIS, we expected the hotel to be no frills style. The hotel and the room were both clean and we slept well, however the room was on the uncomfortable small side, and it also had a strange balcony in that it was open or shared with the adjoining rooms. The staff were great, we didn’t try the breakfast and so couldn’t comment on that." "Mr Thiru at the reception was exceptional. He gave us all the information regarding the place . He also explained to us the facilities and the activities we could do on a weekend over there. My friend who is a strict vegan had some food issues. Mr Thiru ensures that we were comfortable and could warm our food we got in the microwave. He could sense that we were having real issues with food in town with most of the shops closed . Hope all your staff are trained as well as Mr Thiru. 10 our of 10 for this guy"
"Bad experience, no water in the morning , room from loud work outside Very expensive hotel"
"Basic Hotel, as expected but very nice and helpful staff, which made the experience better than expected." "Close to the motorway, cheap parking garage, fast check-in"
"The hotel staff was most helpful in checking us in and offering suggestions for dinner options and return to the train station the next morning." "Curtious and helpful reception at front desk. Room facility is perfect, clean surrounding. Food and restaurant surrounding is excellent Personnel at restaurant has friendly atmosphere." "It was tight room. There was a door onto a balcony. The balcony was accessable from other rooms. Therefore I couldn't even open a window during the night. I didn't have a good sleep that night." "Clean hotel with friendly service and good variety for breakfast." "Everything was good but next time I want the special Katy Perry poster in my room." "Hotel staff were very helpful and friendly. Hotel was very clean and rooms comfortable although a little too warm for our liking. The only criticism would be that only very warm bedding was provided. A lighter blanket/sheet option would have been appreciated. Overall a good hotel representing excellent value for money. Well located just a few bus stops from the main train station. We would happily stay here again." 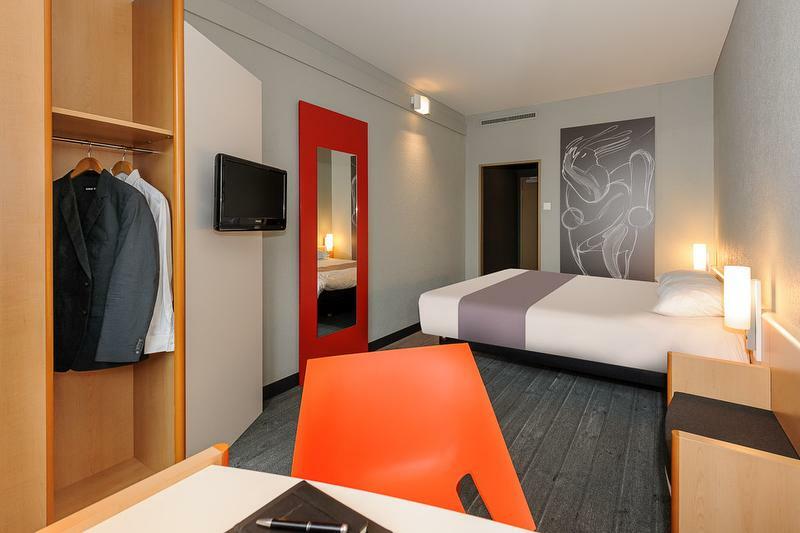 "We stayed at the Ibis Chur for one night on a stopover and it was great. Lovely comfy bedrooms and really friendly, helpful staff. A lovely breakfast as well." "convenient for my journey, good room, good breakfast"
"very friendly and convenient. 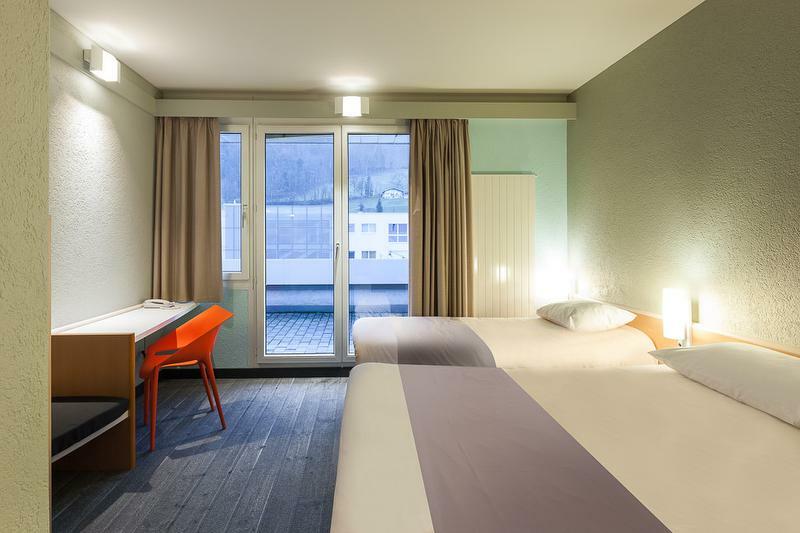 very helpful staff"
"The Ibis Chur is typical of the brand with functional rooms and very comfortable beds. It is located on the outskirts of Chur but this should not be a problem. Travelling by car, It is close to the motorway. Travelling by train it is a 10 minute bus ride from the station. The stop from Chur is a Very short walk from the hotel. The stop going into Chur is almost outside the hotel. The staff are excellent and all the ones we met spoke good English. 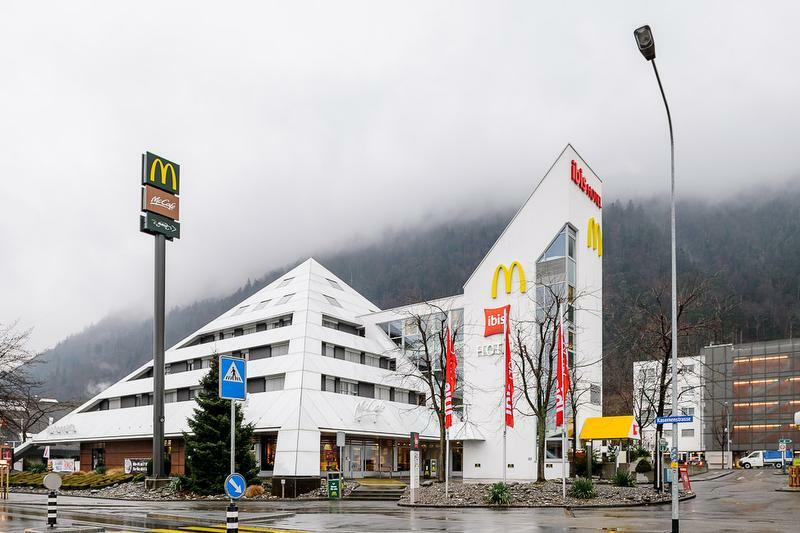 The building itself is an amazing pyramid with a McDonald's incorporated into it if you are into that sort of thing. Breakfast was a typical Ibis breakfast with cold meats, cheese, eggs, waffles and fruit. 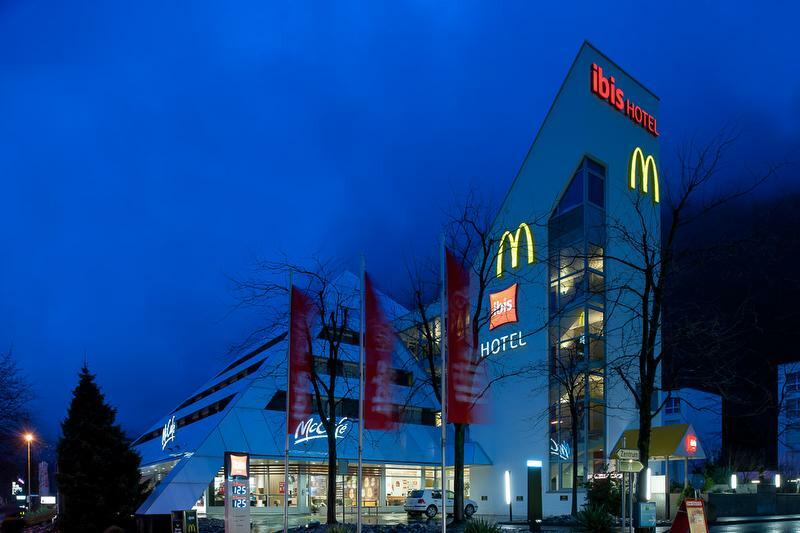 Overall the Ibis Hotel Chur fully met my expectations." "Warm welcome from the staff, good room and fine location." "Friendly service, reasonable rates and nice, comfy room. A good choice in pricey Chur"
"Another great stay at the hotel, always great service from the team, I will be back in March"
"We arrived late at night for one night only and had to leave early in the morning to catch a train"
"Average breakfast. The staff at the reception were friendly." "The room was mediocre. The carpet was well overdue for being cleaned and it smelled like dog in the room. That said the staff was very friendly." "Room was great for our small family, beautiful views from the windows. Very helpful staff. Will visit again." "Another great relaxing stay with Andreas and his team. Great breakfast every morning." "We were checked in and out very smoothly and kindly. The rooms we had a nice balcony and sound-proof windows. Not one blib of the road noise reached the room." "Always a pleasure to stay, Andreas and his team make us feel welcome and special, everything we stay, it's greatly appreciated 5* service"
"everything was perfect. the room 202 was smelling a bit of ashtray. the overall experience was good"
"- Comfortable bed - Convenient location - Easy parking"
"The staff were amazing, went way above and beyond to solve an issue for us. I can not speak more highly of them. A huge asset the the hotel." "Arrived early evening, hotel was chosen as overnight stop on travel from Italy to Germany. Very warm and humorous welcome by reception - the attention was prompt and the service superb. Parking was offered in the underground park. The rooms were standard IBIS rooms but clean and perfectly acceptable. Breakfast was also abundant and a good selection." "The lamp made some buzzing noise." "Fantastic value for the money Quick and friendly check-in/out Nice rooms"
"It was not too far from the Central station. The staff was friendlyand..."